Kundalini Pluto Glass Pendant Lamp by Paola Navone. One of the most beautiful glass pendant lamps in our collection! Pluto was designed by the Italian designer Paola Navone German Designers for Kundalini in Italy. 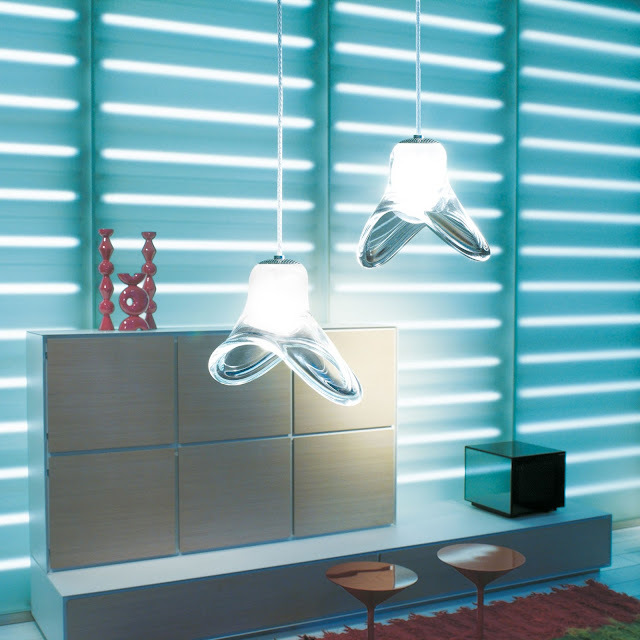 Paola Navone shows what the future holds in lighting. 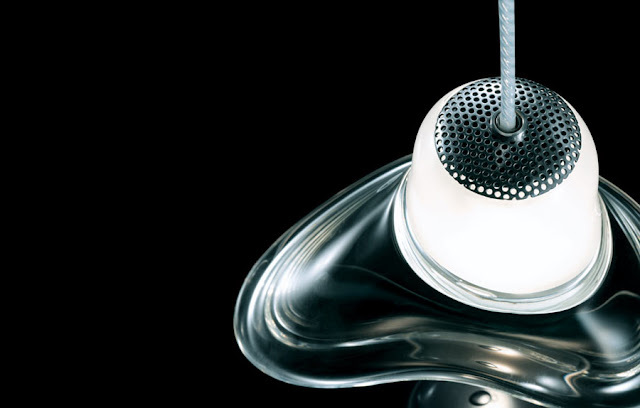 Pluto is a pendant light fixture composed of a mouth-blown glass diffuser. Illuminated from within through a sand-blasted interior, Kundalini's Pluto Lamp provides a beautiful diffused light. Providing a pleasant ambient light, the Kundalini Pluto pendant lamp is perfectly suited to living rooms, bedrooms or family rooms. Add some unexpected light to your kitchen, hallway, study or bedroom. The Pluto Lamps are perfect for use as kitchen counter pendant light fixtures. Hang three of these pendant lights above the kitchen counter to brighten up your kitchen space. The Pluto pendant lights are hung from the ceiling by the electrical cord. These versatile lighting fixtures can also be used in the living room, the kitchen, or any other room in the home if you want to enlighten a space and add style at the same time. Pendant lights are a bit less extravagant than chandeliers, making them the perfect choice for more contemporary homes. If you are looking for simple elegance in your lighting fixtures, pendant lighting will add a special ambiance to your home. 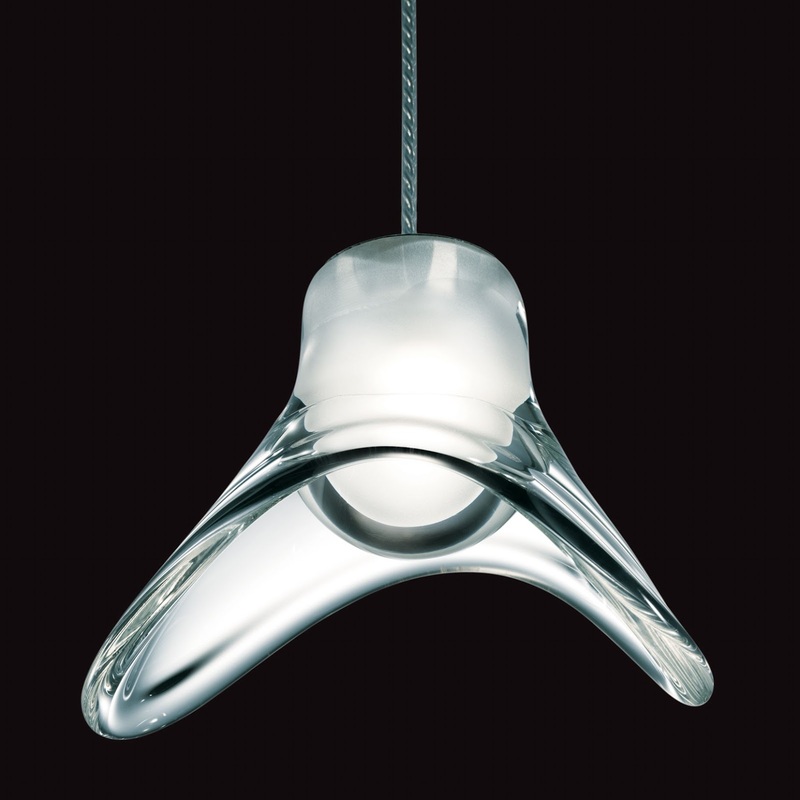 Pendant lamp with mouth-blown glass diffuser, rotationally-formed and internally sand-blasted. This artistic craft-work makes any and each product unique. This irregularly shaped glass is assembled on chrome-plated metal fixtures through an harmonic steel crown spring. Silicon supply cable with intertwined poles. Stardust offers the Kundalini Pluto Glass Pendant Lamp by Paola Navone at guaranteed low pricing and free shipping. Our knowledgeable Kundalini lighting experts will be pleased to assist you with any questions you may have about the Kundalini Pluto Glass Pendant Lamp by Paola Navone. The Kundalini Pluto Glass Pendant Lamp by Paola Navone is part of the Kundalini modern lighting collection which includes Italian designed contemporary modern floor lamps, table lamps, pendant lamps, light fixtures and wall sconces. Every Kundalini lamp is made in Italy.